WrestleMania is the biggest wrestling extravaganza of the year! WrestleMania is the longest running pay per view in the history of WWE. Known to fans as "The Showcase of Immortals", WWE is all set to give its fans the 35th edition of the biggest wrestling extravaganza of the year. Starting in the year 1985, WrestleMania has given some of the biggest, greatest and most memorable moments in the history of pro-wrestling. Throughout the history of WrestleMania, it has had a lot of interesting stats and facts. Some of these are so crazy that fans don't even realize them. In this article. 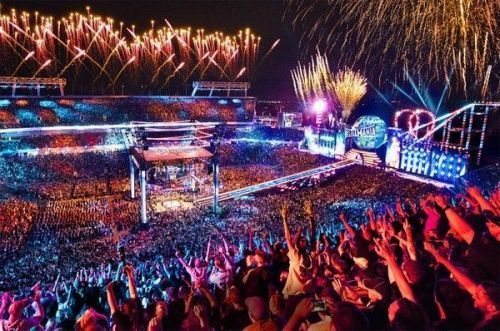 let's take a look at the ten interesting facts about WrestleMania that might surprise you. How many of these did you know? The Heart Break Kid, Shawn Michaels is fondly called by the WWE Universe as "Mr. WrestleMania". While there's no denying the fact that Shawn Michaels has given us some of the finest matches in WrestleMania's history, but if you look at his win-loss record at WrestleMania, the title given to him by the fans sounds a little ironic. Michaels wrestled a total of 17 matches at WrestleMania, out of which 4 were main-events. Out of these 17 matches, he won only 6 of them. His match against The Undertaker at WrestleMania XXV is considered by many as the best match in the history of the PPV. Hogan has main-evented 8 WrestleManias! 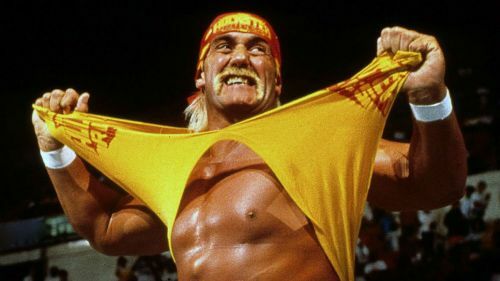 From the standpoint of being a pioneer and historical figure for WWE, there’s a good chance that Hulk Hogan could top that list. It is a fact that Vince McMahon's dream of creating the "Super Bowl of Sports Entertainment" wouldn't have come to reality without Hogan's charisma and appeal. Hulk Hogan holds the record of most WrestleMania main events with main-eventing the PPV at 8 different occasions.